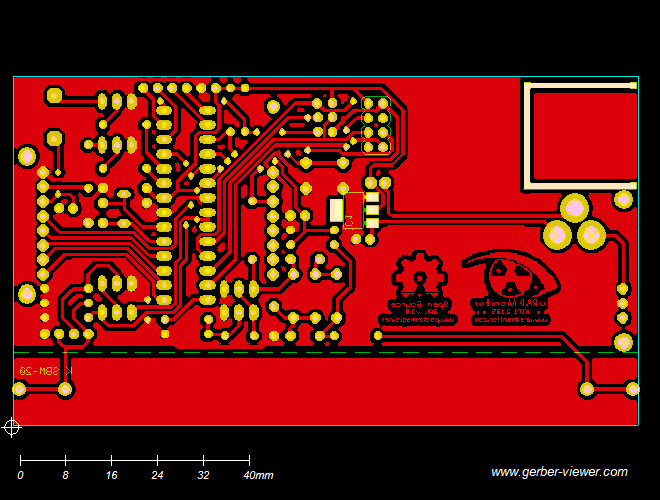 You designed your new PCB board and you’re sure it’s all perfect, but some mistakes can go unnoticed resulting in wasted time and money. This is why it is important to test your new design before submitting it for production. I use software that visualises the Gerber files directly, so I can see exactly that the factory will receive for manufacturing. 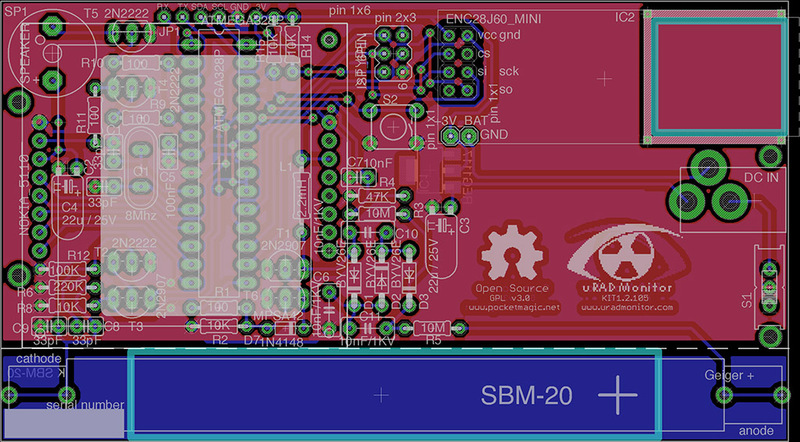 Let’s just take an example, the PCB files for the open source uRADMonitor KIT1. This is a good example, a two layers that also includes milling. While there are a offline viewers, I opted for the online ones to be able to use them regardless of OS or platform. I was previously using the Easylogix Online Gerber viewer and now more of the EasyEda Gerber Viewer. Some details on both are included here. You can select the layers to visualise, you can drag, zoom and save the image. It also offers some basic measurement functions and allows printing the result with a button click. It doesn’t support milling layers, at least the HPGL format I am using. I’m been using this more recently due to its modern interface and “Analysis results” function that shows various important measurements. It has more options, like selecting board colours and theme, but it also doesn’t show the milling layers and disabling / re-enabling separate layers can take a few moments to refresh. Don’t forget to check your boards before sending them for production. With these powerful tools, it is now so easy!